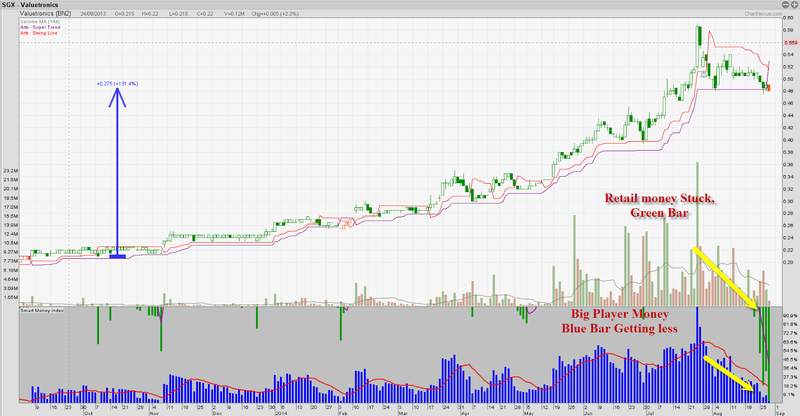 Valuetronic - trend end after more than 120% gain! Our system have been telling us not to sell Valuetronic for the past eight month by following the Green candle, yesterday it change to Orange candle as it break the support level at 0.485. This support level has been highlighted in previous post.